It was too cold for an animal to be left outside and home owners were being urged to cover their plants but here were several people without a place to stay. Local shelters were filled to capacity and homeless left without a warm place to stay Chef X felt a need to feed. Chef X and her ‘Xclusively Kissed‘ provided hot meals, jackets, shoes, and blankets to those unable to make it to a shelter. Chef X made 50 bowls of chili matched by a local Wendy’s. CocoChanel Crawford, also known as Chef X, is ‘Xclusively Kissed’ and the name behind the ‘Need to Feed’ mission. Crawford knew at an early age that helping the less fortunate was important to her. At the age of 7, she remembers leaving her birthday party with her mother when she spotted a man sitting on the street in the pouring rain. She cried and pleaded with her mother for 30 minutes to turn around and when she did Crawford gave him all of the money she had received for her birthday: twenty dollars. Two years later she saw the man again inside of McDonalds. She was with her mother. The man walked up and said, “I know you. You helped me during my transition.” The man explained he’d lost his wife and children in a car accident. They had no insurance and had lost everything. He had since become gainfully employed. “He gave me my first blessing that day,” Crawford said. “It was a fifty dollar bill that I donated to a local homeless shelter.” This is when she knew that helping the less fortunate was a part of her calling. Before following her dream of “all things xclusive” Crawford worked at State Farm for four years. It was during this time that she began writing her cook book. “I was just sitting there thinking about it, dreaming about it,” Crawford said. When State Farm announced they were closing her unit and relocating employees, Crawford felt this was God creating the opportunity for her reach for what she wanted. She made the decision not to follow State Farm. As her unit transitioned to leave, she transitioned to become who ‘Xclusively Kissed’ is today. She began living, breathing, thinking, speaking, and praying nothing but ‘Xclusively Kissed’. The ‘Need to Feed’ mission was born and focused mainly on feeding the homeless a home-cooked meal. The mission also extends to those unable to feed their children or themselves. Crawford has completed her cook book, the first in what will be a series. The proceeds will help with funding the mission that she hopes will go national and eventually global. “We’re not just going to feed Duval,” she said. “Duval isn’t the only place that’s hungry, but we have to start here.” She decided to write the cook book to create a source of funding for the ‘Need to Feed’ mission. She wants to take seven children that have never been out of Duval County to another country to feed with her. “When the Lord places us in the right position to self-publish we will,” Crawford said. Until that time she’d like to see more community involvement starting with being aware of what’s going on in the community in order to help. 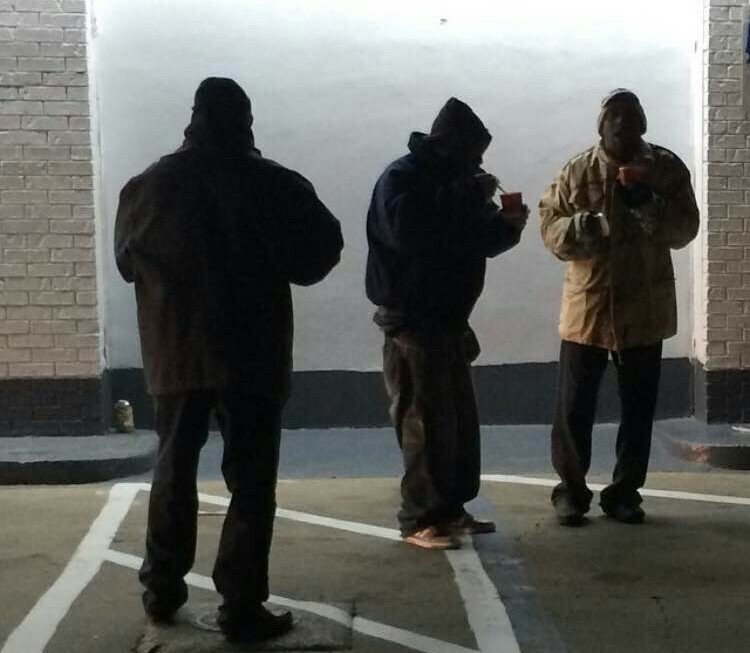 It’s not always monetary donations that are needed. Time, unused clothing, daily essentials, prayer and conversation can also be donated. Sometimes that is all they need.